Whitey - Lake Houston Fishing! some of the good baits Blue/back chrome rattle traps in the 1/4 and 1/2 ounce. small crank baits chrome, white , bone, blue and black backed chrome baits. in the good size chalks , harmon , dillards . bedias . 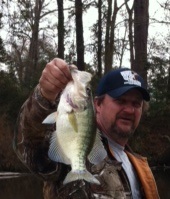 monster white bass in the upper end of Toledo Bend. now is the time to sharpen those hooks and put on new line for the season. Has anyone been doing any good on whites. 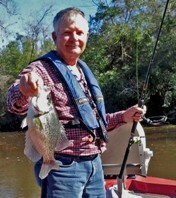 Is everyone catching in the bayou or east fork? Maybe winter will get here sometime next year. water was 68 at 1pm yesterday and this front should help to drop water temp back down. wishing~!